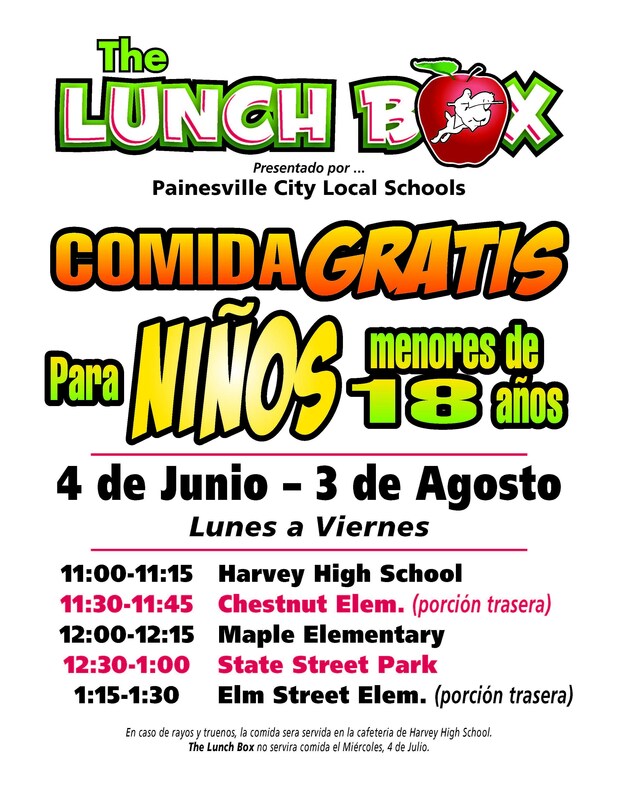 The Lunch Box is our mobile food truck and will provide FREE lunches to all children ages 18 and under. 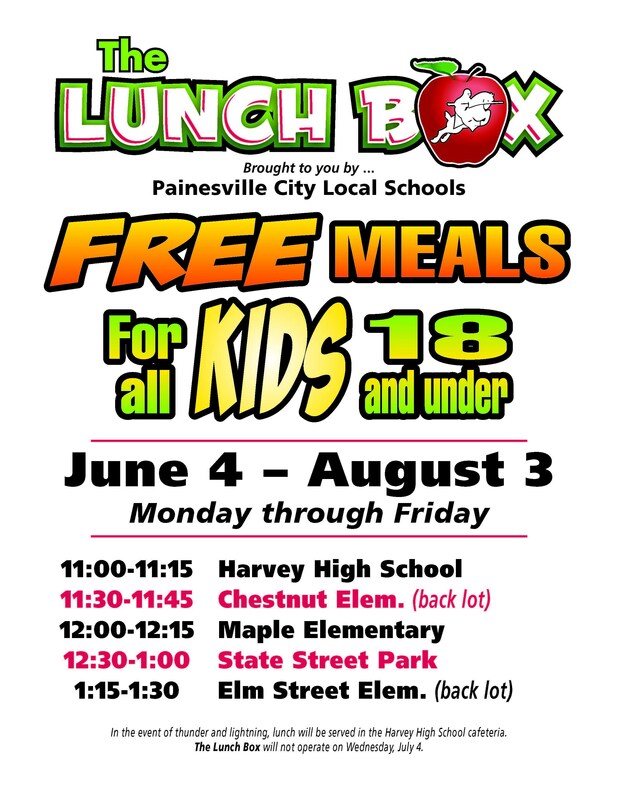 This summer, beginning June 4 through August 3, Painesville City Schools will be offering two summer mobile programs: The Lunch Box and The PCLS Book Box. You can find all the detailed information for these two programs on our website. 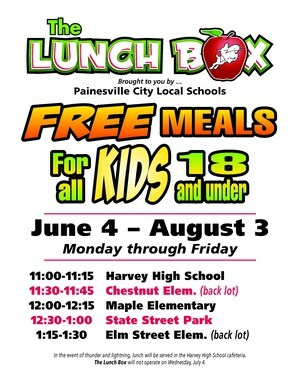 The Lunch Box is our mobile food truck and will provide FREE lunches to all children ages 18 and under. Lunches must be eaten on site and cannot be taken away from the site. During inclement weather, the Lunch Box will not operate the route, but lunch will be served at Harvey High School cafeteria. Check the district website and the district’s social media accounts for announcements during bad weather for this location change. There will be no meal service on July 4. 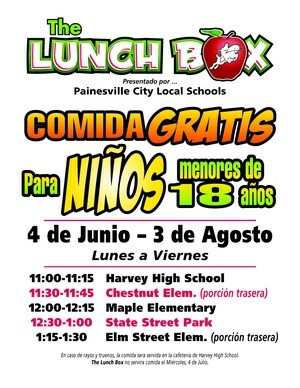 The Book Box will follow the Lunch Box each Tuesday and Thursday to all locations except for Harvey. All students and parents may take home books to enjoy and swap back for more.